Let's face it, not everyone has perfect credit. A financial setback here and there can result in a credit history that is either poor, or downright awful. Then again, you might be new to credit and have no credit history at all. Fortunately, there are credit cards designed with you in mind. In all three cases, you will probably find that you can only qualify for a secured credit card. 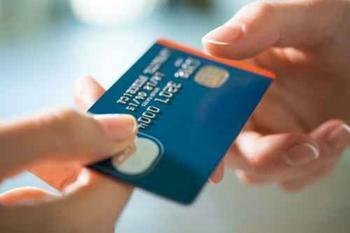 A secured credit card is one that is backed up by a refundable security deposit. The amount of the deposit is the amount of your credit line. If you make a deposit of $500, then you can have a balance of up to $500. While many people get credit cards in order to expand their purchasing power – spending money they don't have – that's a ticket to financial trouble. The best way to use a credit card is as a convenience in lieu of writing a check. When the bill comes, you should have the money to pay your bill in full. If you can do that month in and month out, any one of the three credit cards below will not only provide that convenience but will help you quickly build your credit as you establish good money-managing habits. If your credit classifies as “poor,” consider the Discover It Secured Card. For starters, there is no annual fee and no late fee on your first late payment. However, if you are trying to rebuild your credit, having any late payments should be avoided. Even though this is a secured credit card, it is not without rewards. You can earn 2% cash back at restaurants and gas stations on up to $1,000 in combined purchases each quarter. The reward on all other purchases is 1%. For new members, Discover will match all the cash back you earn in the first year, getting you off to a great start. After 12 months, Discover will review your history to see if you can get your security deposit back. It reports your credit history regularly to the three credit agencies. If your credit is bad, you might apply for the Capital One Secured Card. There is no annual fee, and you receive all the credit building benefits of any credit card as long as you use the card responsibly. Keep in mind this is different from a pre-paid card, which does nothing to help your credit score. Capital One reports your payment history to the three credit agencies. If you have never had a credit card, or never borrowed money, you can find it difficult to get started. No one, it seems, wants to be the first to extend you credit. A secured credit card, from Open Sky Visa, might be an answer. You can establish a credit line of between $200 and $3,000, depending on the amount of your refundable security deposit. The one drawback is a $29 annual fee. This card requires no credit history in order to apply and it reports monthly to all three credit bureaus, helping you quickly build a credit history through responsible use of the card.